Wowwie. I had heard great things about this movie since it opened in theaters in late December, and I now agree with everything I remember hearing. My family and I LOVED this movie! Even my husband (who stopped at the poster and said, "WAIT - this is a MUSICAL??!") admitted to enjoying it by the time it was done. And my six-year-old (who spent most of the movie whispering, "Mom, this movie is FIVE HOURS long!!") is asking to go see it again. 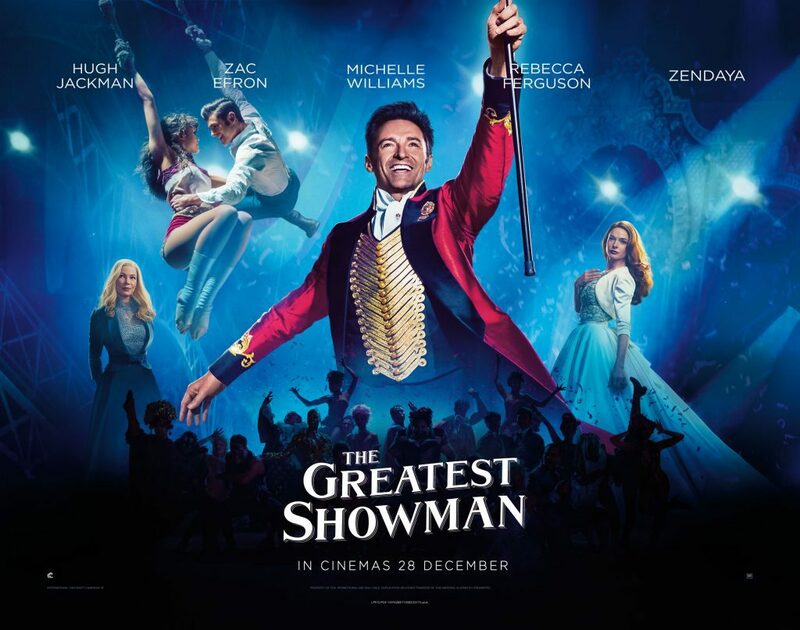 The Greatest Showman celebrates the story of PT Barnum and his creation of the circus. We watch his unbeatable spirit rise from being a poor tailor's son, to rubbing elbows with upper society types, including his wife's family. The story is not one to be missed. Loving movies that pair with books as much as I do, I'm eager to find a good biography of PT Barnum. I heard of one viewer who did not like the movie because he said his history with the circus taught him that much of the movie was false. I doubt learning the 'real' story will ruin my enjoyment of this wonderful film. In case I haven't been clear, I loved this movie! I actually bought the soundtrack before even seeing it, and have listened to it many, many times already. The music is great, and even better with the memories of them from the movie. The costumes were wonderful (and many were actually borrowed from Feld Entertainment, owners of the Ringling Brothers and Barnum & Bailey Circus, which stopped performing in May 2017). If you haven't seen this movie yet, you should! If you have, what was your favorite part? Why have I not yet seen this? More and more people are saying this is a “Must See” movie! Loved this movie but my boyfriend did not, lol. I guess he doesn't care for musicals. We saw it Sunday and it was my second time seeing it. The songs are so good! I have heard nothing but great things about this movie. I'm really looking forward to seeing it myself. I already really like the soundtrack.